A Book About Spirituality and Business. ​Mindful Success is a compelling story about one woman’s rise from living in an orphanage and homeless on the streets of America to building a multimillion dollar company from scratch. In this book you will learn step by step exactly what Maggie Cook did to bring herself from such difficult situations and how no matter where you come from, or what situation you are currently in, you can accomplish your dreams using the principles she teaches you in Mindful Success. This is truly a story of self discovery as Maggie travels through circumstances few could ever imagine. Her story is inspirational and her lessons are universal. Maggie is one of the MOST inspirational people you’ll ever meet. Unique on this planet! Happy to have seen her speak at the Latina Style Conference where she literally brought hundreds of us to tears. Thrilled for the book swap we did too. I cherish her story. 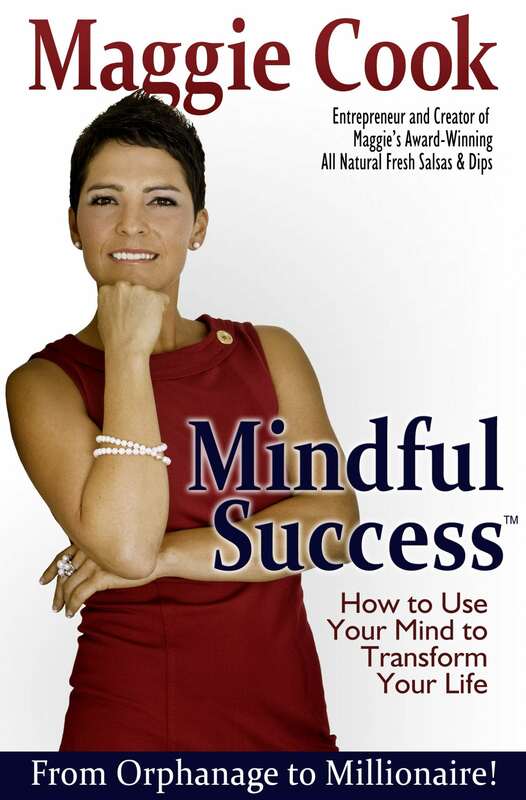 Maggie’s book ‘Mindful Success’ was very emotional, powerful, meaningful, and inspirational. This story really touched me because of the challenges Maggie faces and how determined she was to reach her goals. She is now passing on her experience and teaching us that we can too be success by using the wonderful power within us. This book will not only inspire you with her positive thinking techniques but she also shares the lessons she has learned growing up under difficult circumstances and overcoming hardships along her way to becoming successful. Her stories intertwined with the lessons of inspiration, the power of thinking and a little magic she shares makes this book a valuable asset on the road of one own self discovery. Email privacy is important to us. Your email address will not be shared with anyone.